On Saturday, I went to Anaphylaxis Canada’s annual conference. I came away from it with some new and interesting information, freshly reminded of how serious allergic reactions can be. I fully planned on (and still am) blogging about the conference. I spent the first half of the day thinking about what I’d write on my blog. That conference blog post, however, was pushed aside so that I could write this one. In a strange bit of irony, the second half of my day was spent administering an EpiPen for the first time in my life, and dealing with the aftermath of an anaphylactic reaction. First and foremost, let me say that everything is fine. My number 3, five year old son, had an allergic reaction today. He is allergic to dairy, eggs, bananas and tree nuts. He is home now and for the most part, seems relatively unscathed. The EpiPen did what it was supposed to do. I didn’t wait until he was in respiratory distress and he was conscious and aware of what was going on at all times. The situation was serious, but under control. Paramedics arrived fairly quickly and he was transported to hospital without any trouble. I’m not even sure what he reacted to. I suspect that he somehow ingested the cow’s milk that his sister was drinking, but I’m not sure. I saved the packaging from everything that I could remember he’d eaten today. Tomorrow I will call all the companies to see if anything he’d eaten could have been cross-contaminated or if there could have possibly been some undeclared allergens present. Here’s what happened: we were getting ready for lunch. I had it served on plates and we were about to eat. The kids had eaten some marshmallow candies a little earlier, plus they’d had some juice and other snacks. Number 3 first started complaining about his back being itchy. Any time he says he’s itchy, I take note. I checked over his back and didn’t see anything but the slightest bit of redness. I thought it was from him scratching. He continued to complain of itchiness and I checked his back a few times – not much was there. I checked his mouth and tongue, and it all looked normal. I thought maybe he had some dry skin. After he continued to complain, I suggested we put some cream on his back. The only cream I could find was one scented with lavender essential oil. I worried that it might irritate his skin but it was all that I could find and the itchiness was starting to drive him crazy. He had also been wheezing and coughing a little and so I gave him some ventolin. He started complaining of his ears being itchy and I started to think that something was going on. At this point his back was quite red and I thought the cream was irritating him. I thought if he had a bath, it might settle the itching down. I really started to think that something wasn’t right so I decided to give him Benadryl just in case. I figured it couldn’t hurt and I thought it might help with whatever was making his back so itchy. He and Sister happily climbed into the tub and I rinsed his back and tummy to get all the cream off. As I was doing this, I noticed that hives were coming out on his back. And his back was bright red in areas that he couldn’t have possibly reached and scratched. Then he said his throat was itchy. It was at this point that I knew it was an allergic reaction and I knew that it was pretty serious. Let me pause the story for a minute to tell you what was going through my head. I know that an anaphylactic reaction is a reaction that involves two or more body systems. Anaphylactic reactions are the ones that can be deadly. Once a life threatening allergic reaction starts, there is a point of no return. There is a point at which no amount of epinephrine, steroids, or any treatment can stop a reaction. 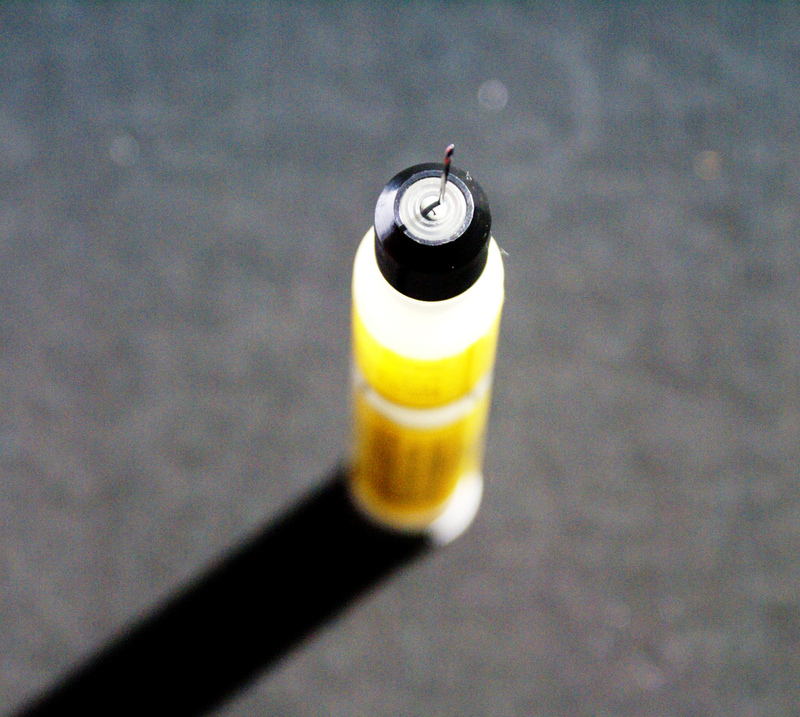 The key with anaphylaxis is to administer an EpiPen as soon as there are signs of an anaphylactic reaction. When there are anaphylactic deaths, it is usually because an EpiPen was administered too late or not at all. At the anaphylaxis conference on the weekend I listened to a speaker talk about a study in which severe anaphylactic reactions were studied. In all the cases where there was a death, the EpiPen had either not been administered, or had been administered more than 30 minutes after the onset of symptoms. Cases where people had severe reactions and survived, all had been given the EpiPen within 30 minutes of symptoms. Another thing discussed at the conference is how common it is for people to hesitate giving the EpiPen and other reasons that administration might be delayed. One final thought that was going through my mind was this: Number 3 had had an anaphylactic reaction once before. He was about two and he’d eaten a handful of banana. He experienced wheezing, sneezing, vomiting and hives. He ended up being okay and it wasn’t until after the fact that we’d realized that it was an anaphylactic reaction and that we should have administered the EpiPen. Mr. FamilyNature and I said that if he ever had a reaction like that again, we would give the EpiPen, without a doubt. We knew that we’d dodged a bullet that day and we were not going to make the same mistake again. So back to today, I called Mr. FN and told him what was happening. I blurted out that it was two body systems and that I was going to call 911. Mr. FN said he was on his way home. Now even at this point, after all this going through my head, and knowing that I should give the EpiPen, I hesitated. I called 911 first. Naturally the 911 operator told me I had to give the EpiPen. She said, “Based on what you’ve told me, you have to give him the EpiPen NOW.” She was great; very calm and patient but her voice was firm. I tried to keep my composure as I ran to get an EpiPen out of my purse. I told Number 3 that I had to give him the EpiPen. I was trying my very best to be calm and strong but I had tears in my eyes and I knew he could hear my voice cracking. He starting whimpering quietly and asked “is it going to hurt?” I told him that it would hurt for a minute but that he needed the medicine. I put him in my lap and gave him the pen. He screamed. Sister screamed. I was trying to keep it together and keep everyone calm. I held him and rubbed his thigh and told him over and over again that I was sorry. He cried and cried. After a few minutes the paramedics arrived. By this time the hives were going down (man, that EpiPen works fast!) and he and Sister had calmed down a bit. The paramedics were wonderful; they came in and assessed the situation quickly. He was a bit wheezy but was okay. He was still really scared, shivering (still naked with a towel wrapped around him from the bath) and his leg was sore from the EpiPen. Mr. FN arrived home a few minutes later and he rode in the ambulance with Number 3 to the hospital. At the hospital, he was assessed and then kept for about 5 hours. Everyone who talked to Mr. FN told him that we did the right thing. The EpiPen was the right thing to do. They gave my little boy pediapred (a steroid) and a long-lasting antihistamine. He was released with a prescription for a 4 day course of pediapred and instructions to watch him carefully. He’s in bed now. We’re all a little shaken, but we’re okay. Stay tuned for more on this and my thoughts on the Anaphylaxis Conference. Photo by Hopkinsii via flickr. A friend put a link to this blog-post on facebook, which lead me to read it. I had tears in my eyes, thinking about how scary that must have been! I can totally see how self-doubt could come into play, but good for you for knowing what to do, and doing it. Your little boy is so lucky to have you as his mama. I hope his full recovery is quick, and that you don’t have to go through that again any time soon (or at all!). Oh, this post made me cry. I am supposed to be working, not sitting here sniffling. Glad you are all okay. Oh gosh Amanda. I’m sorry that you had to use your newly fresh lessons so soon (OR EVER!). So glad kiddo is ok <3 to you, him, sister and daddy for holding it all together, being brave and doing the right thing. I can’t even imagine. Brave mama. Brave big boy. Thanks everyone. Today he’s pretty much back to normal. Mr. FN and I were talking today about how he looks so much better today. When I was looking at him yesterday, trying to figure out what was going on, he had these terrible dark circles under his eyes and his face was very pale. He looked very unwell. He’s running around like crazy today — always a good sign! I definitely know how you feel. Sunday night my daughter had a severe reaction and started with the hives and she kept saying mommy I wanna lay down. I knew at that point I had to adminster the twinject epi pen. I went to do the first and it wouldn’t’ give the medicine. so I took it out and tried the self injector. Still no medicine coming out. So I grabbed the other pen and it finally injected the medication. Not only was my daughter screaming mommy NO SHOT! I had to stick her 3 times! These injectors are so painful surely there has to be a better way to inject a child with such small thighs. Never question giving an epi dose. If it even crosses your mind you should do it but still its hard! Because you have to realize that yes your child is in serious danger of losing their life and that’s something NO MOTHER EVER wants to do! I’m so sorry you had to use it, I am so afraid I will fail when the day comes that we will need it to (and I assume its a when, not an if). What terrifies me most about reading your story is I’d like to think I would have done exactly what you did. I’d have given the pen in time to be safe. But it sounds like you had doubt. That’s not surprising either. Do you ever think of what would have happened if he had had that reaction at school? Do you think they would have picked up on it as quickly as you did? This is what truly terrifies me. You should be proud of your bravery – doing it, calling 911, and keeping two kids calm in the process while you’re freaking out – you are a good mom. I just stumbled across your blog during my intermittent allergy searches online. I am an allergy girl myself, and allergies run heavily in my genes. I never before thought what it will be like when I have kids to figure out (if they have allergies) what they are and how to teach them to cope. I am sorry that you and your children have to go through these things. I really appreciate your stories in allowing others to be educated with and from you! Powerful stuff, thanks for sharing. This story means a lot to me. I have an allergy to tree nuts, which my parents and I discovered when I was about your son’s age. I have only had an anaphylactic reaction once, and my allergies are not as serious as most of the other commenters, but I have had severe anxiety for years about them. My greatest fear is that someday my throat will close without anything to stop it. I used my epipen for the first time today, even though I was not sure at first if I was having a reaction. I was lucky that I thought to use it before the itching went to my throat. Just remember, if your child is crying after using an epipen, know that it looks more painful than it really is. There’s a feeling like someone punched you, but the pain is not too extreme. The tears are probably from the natural feeling of shock and fear when the adrenaline begins to work. It feels like something jumped out in your face, which can be distressing for young children, so do not feel guilty about causing them pain. it hurts more than a punch. you are stabbing a 16g needle into your thing. the pain goes away, but for the next 36 hours you can get leg cramps. I just experiences an anaphylactic shock for the first time this week. (a day and a half ago) and I am really scared. I had no idea what it was..my family was sleeping. we didn’t have an Epipen. I am glad you were so well prepared and did everything so bravely…Do you know what I can do to educate myself more on this, My heart rate is still all over the place. Hello, thank you for sharing your experiences on your blog. I have a young child with food allergies as well, and having to manage his EpiPens is just a part of our lives now. I actually stumbled upon your blog while doing some extensive Googling in light of the recent stories in the news about Natalie Giorgi’s passing, which has hit the allergy community hard. I see a LOT of people online suddenly changing their Allergy Action Plan – without first discussing the change with their allergist – so that the EpiPen is given immediately upon suspected ingestion of an allergen, even if there are no symptoms. Thank you, again, for blogging about your experiences! •	Study of 13 kids, 6 kids died, 7 nearly died (were on life support). What differentiated? All who survived were given epipen within 30 minutes. None of those who died received it w/in 30 minutes. •	Why is it more effective early? •	Why is epinephrine less effective as time goes on? •	PAF [Platelet activating factor] chemical released during allergic reaction. PAF correlated w/ severity of allergic reactions. •	PAF receptor blockers can help resist anaphylaxis. •	PAF important in life threatening anaphylaxis. •	Levels of PAF went up with level of anaphylaxis. •	Is there an interaction between epipen and PAF? •	Early use of epipen protects against the action of PAF. Natalie’s death also made me wonder about this — it sounds like everything was done right. It will be interesting to see if the recommendations change. Thank you for your quick reply! And for providing all this additional information. I wonder if the allergic reaction had already started, even though there were no symptoms? Maybe her body was releasing PAF despite no outward signs? I do sort of wish the study had looked at more cases… I don’t know if 13 is a big enough sample size? And yes, I, too, wonder if the recommendations will change… Of course, this is only one anecdotal case, and we don’t know the whole story (Natalie’s risk factor, reaction history, any underlying conditions, etc. ), so in the meantime, thank goodness doctors like Dr. Vadas are conducting research! We need more allergy-related research, research, research!